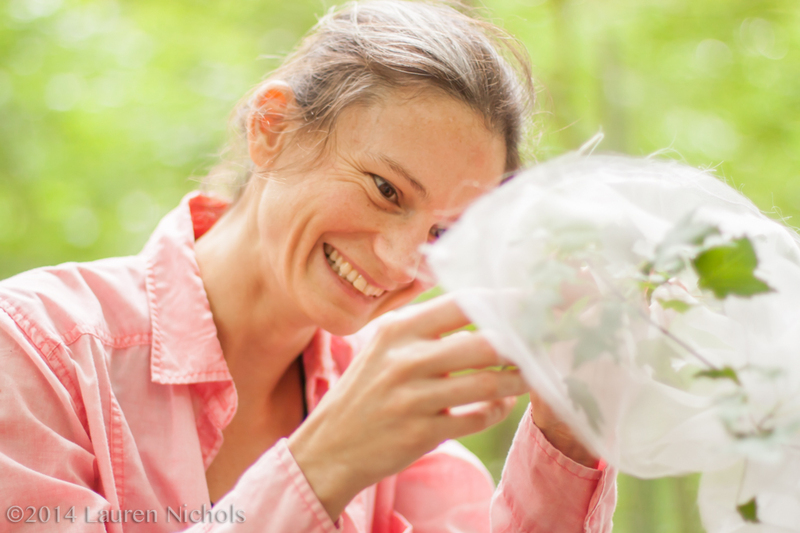 This week I followed researcher Elsa Youngsteadt and her undergrad assistant Danielle Schmidt, members of Steve Frank’s lab in the NC State Entomology Department, into the field. When I arrived at their field site, I found each holding a leaf and staring at it so intensely that I first thought they were under some sort of spell. As it turns out, they were focused on counting tiny scale insect nymphs. Elsa and Danielle are studying how scale insects — a common pest on trees — might benefit from climate change. Scale insects may do better under climate change simply because they are more likely to survive and reproduce under warmer conditions. It’s also possible that scale insects may do better under warmer conditions because there are fewer natural enemies or because their ant mutualists are also faring better and can give the scales a boost. To see more photos of Elsa and Danielle tackling sordid scaly affairs as well as other scenes from around the lab, take a look at our Behind the Scenes Flickr album! 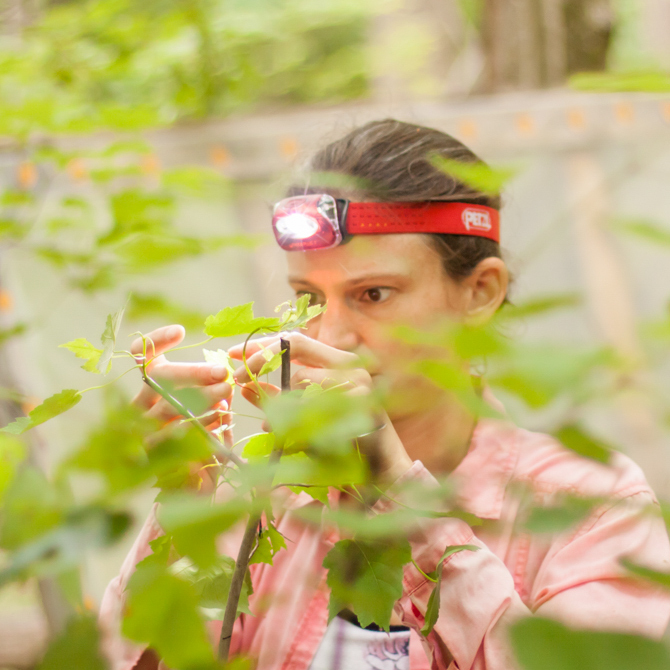 Danielle Schmidt counts scale insect nymphs on a red maple sapling. Danielle and Elsa Youngsteadt will track the survival of the scale insects throughout the summer to study how they are being affected by different environmental treatments. 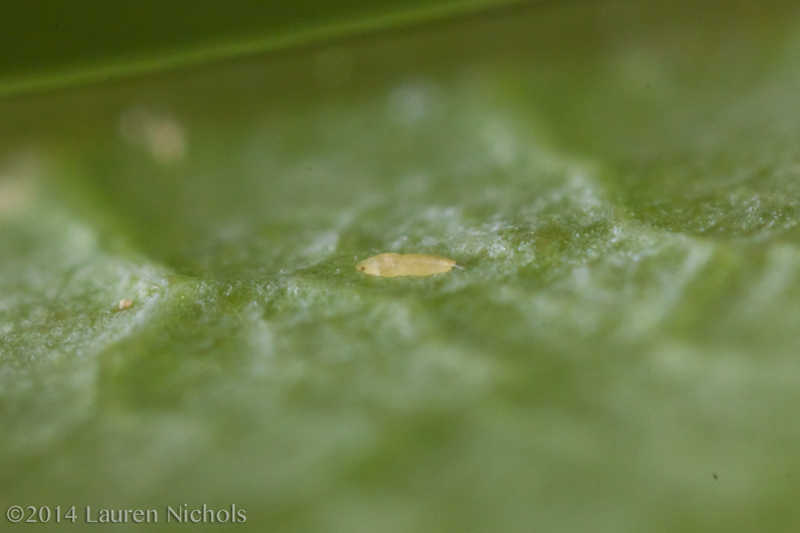 New scale insect nymphs — called crawlers — wander away from their mothers to find a place on a leaf where they can insert their sucking mouthparts and feed on the plant sap. 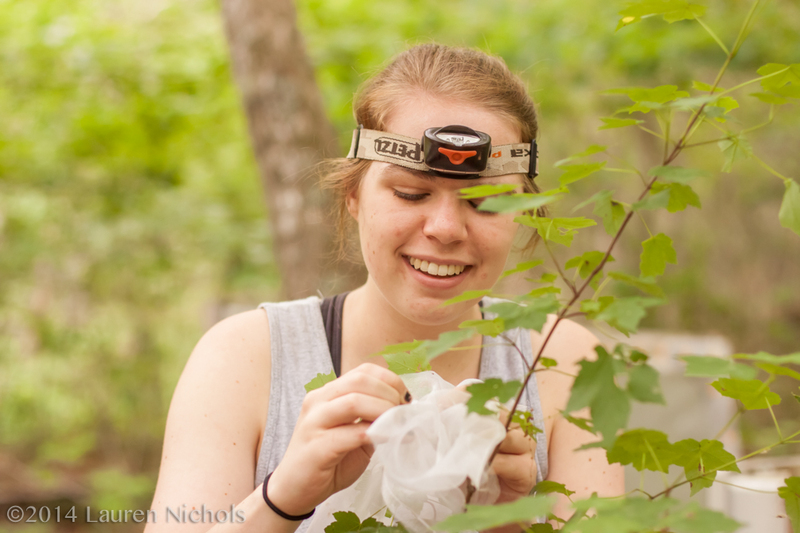 Elsa Youngsteadt places a mesh sleeve over one of the red maples colonized by scales to exclude parasitoids, a common natural enemy of scales.